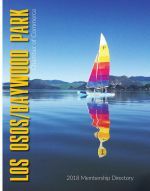 The Bay-Osos Kiwanis Club will be offering a pancake breakfast beginning at 8:00 am. Space assignments will close each week UNTIL 10/23/18. After 10/23/18 you can obtain your space assignments by phone or at point of entry between 6:30 and 7:30 am, October 28, 2018. Any application postmarked after October 26, 2018 will be accepted based on space availability and requires payment by cash or money order.The vendor booth spaces are 15 feet wide and 15 feet deep and the larger booth space is 30 feet wide and 15 feet deep. Non-profit booths are information only. POWER is not supplied – please bring your own generator if needed.A copy of resale license or non-profit filing status (if applicable) is required. We also require you fill out the attached SWAP MEETS, FLEA MARKETS, OR SPECIAL EVENTS CERTIFICATION. With consideration to the opportunity of participation in Oktoberfest 2018, I agree to assume all risks and responsibility for any losses, theft, liability, cost and/or damages, whether caused in whole or in part by actions or inactions negligence or other conduct of the parties or others. I hereby voluntarily agree to release, discharge, hold harmless defend and indemnity Kiwanis Club of Bay-Osos, Los Osos/Baywood Park Chamber of Commerce, it's Officers, Directors, Employees, Volunteers and Members from any and all claims or losses and property damage which may arise out of my participation in Oktoberfest, I hereby agree to abide by the Kiwanis of Bay-Osos and Los Osos/Baywood Park Chamber of Commerce rules and regulations for the 2017 Oktoberfest and understand that refunds will not be granted and entry fees are non-fundable. No rain checks.